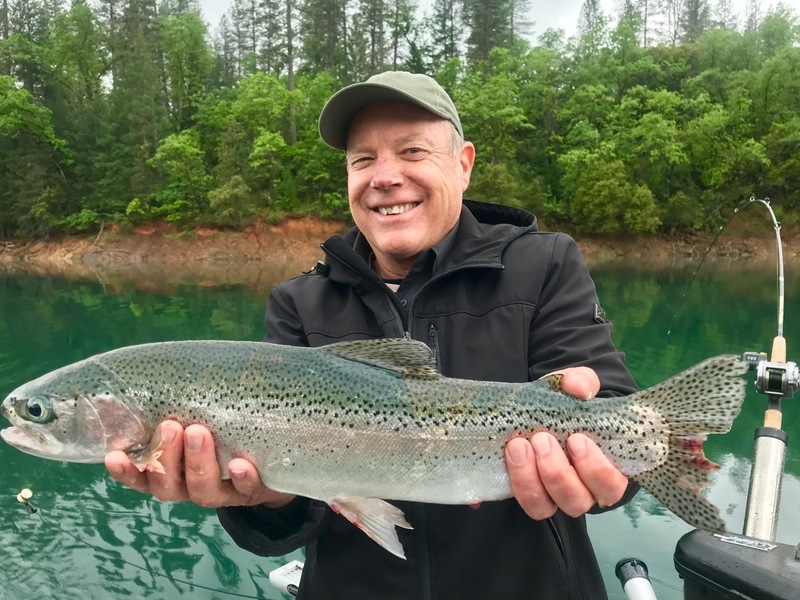 Husky Whiskeytown Lake Kokanee salmon are looking great and this summer should be another great year for Whiskeytown Lake fishermen. Today we fished Whiskeytown Lake for Kokanee salmon. Overall the bite was slow and we ended the day with 7 of 11 Kokanee hooked. Our biggest fish was 16" inches, but Im sure we lost a few that were a tad bigger. The surface temps are in the low 60's now, but when the lake stops filling with cold Lewiston water the fishing should really take off. 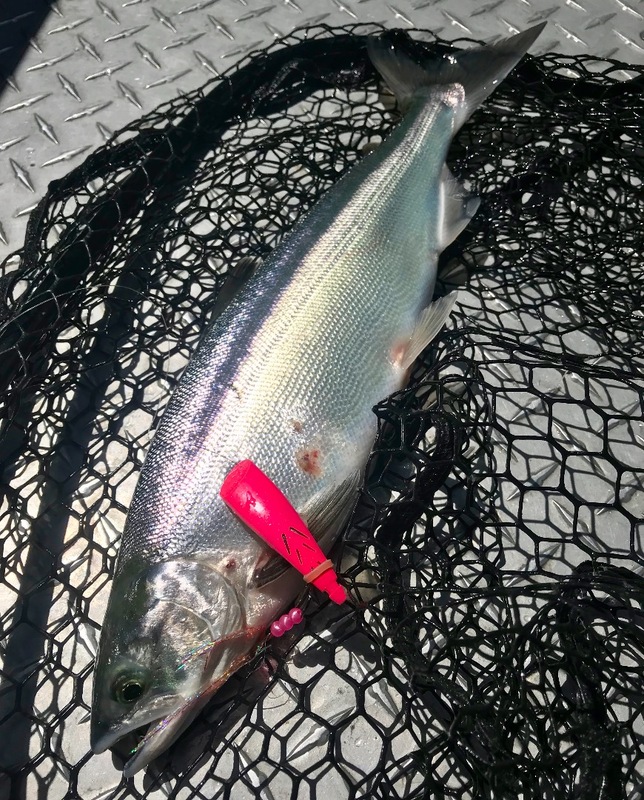 We caught all of our Kokanee 25' down, but I did get one to come up to hit a long line rod on the surface early in the day. 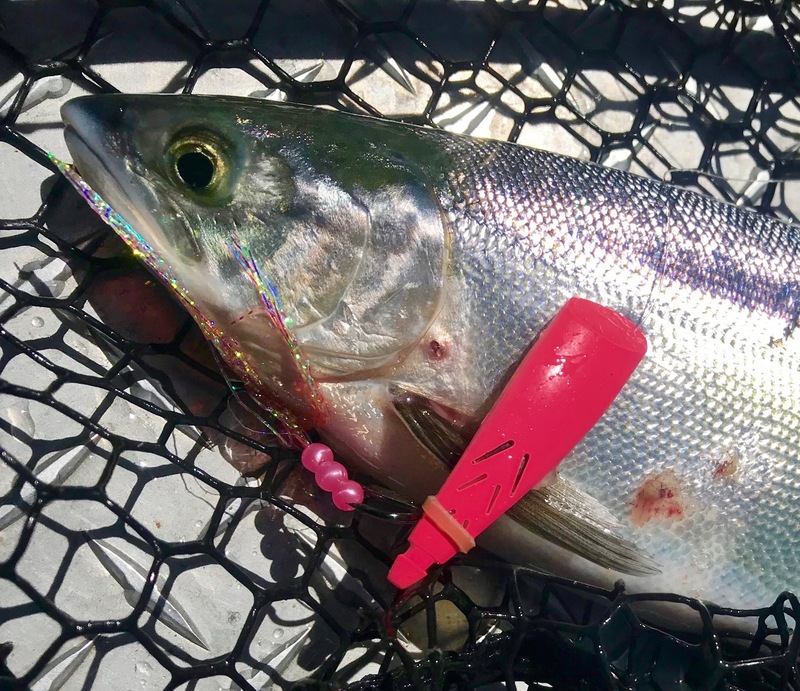 Gold and orange were the best colors for us today, but I did catch a few on a pink Brads Kokanee cut plug stuffed with Pautzke Fire Brine anchovy meat behind a UV dodger. 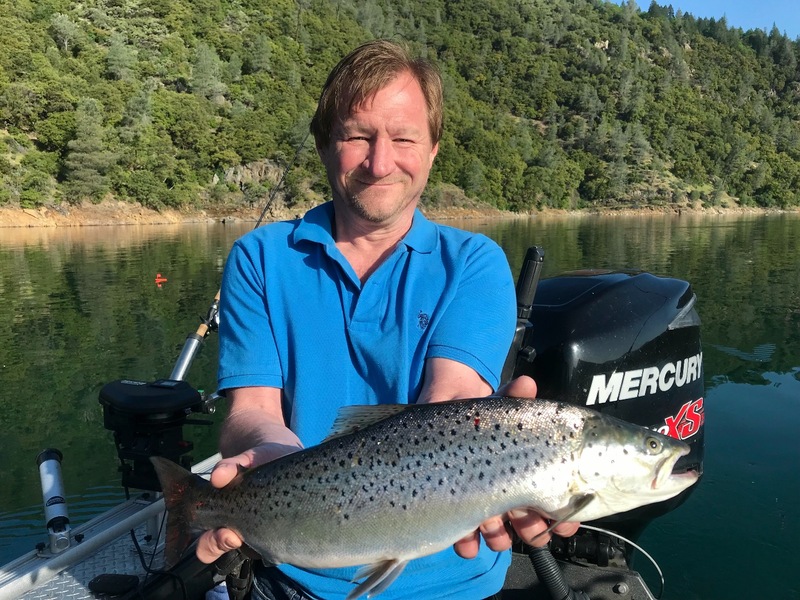 Hot bite on a cold day at Shasta Lake! Good morning bite on Shasta today!